Any Bostonian will tell you: Area Four is a must-try brunch spot! Located across the river in Cambridge, this ultra trendy joint is near MIT and has that minimal, white-wall-wooden-tables-steel-beams kind of ambiance. 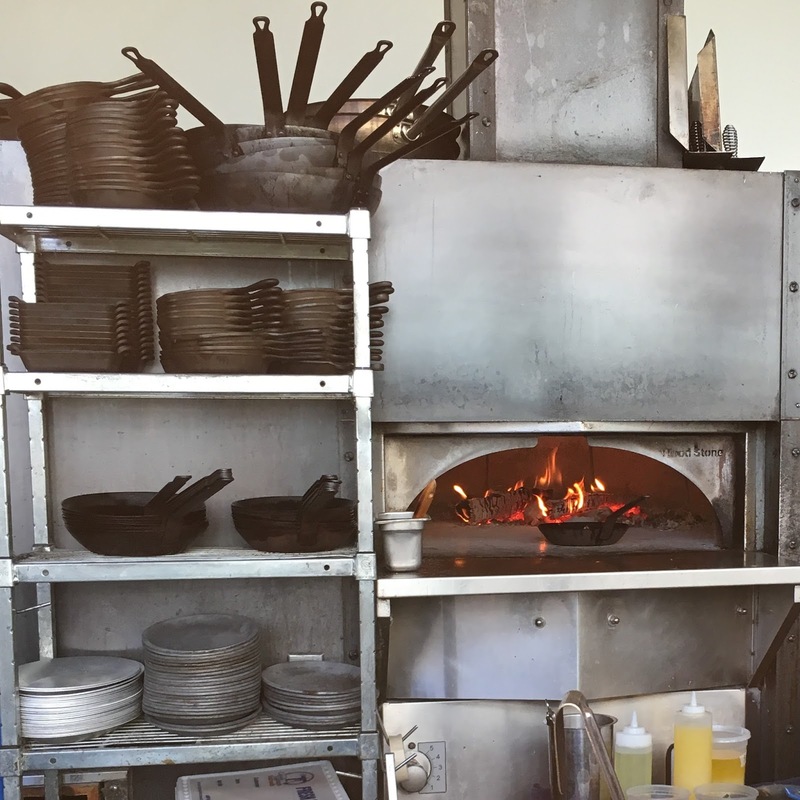 Area Four specializes in epic brunch skillets, aptly named “Hot Messes,” which we were beyond excited to try for a hearty meal. Luckily for us, there was a daily special of gluten-free donuts as well! I didn’t even know gluten-free donuts were possible, but apparently the baker is gluten-free (and a genius in my book). Glorious gluten-free donuts before brunch? Yes, please! I present to you: two Hot Messes (how funny is that name)! The top skillet is “The Hot Veggie Mess,” which comes complete with 2 sunny side up local farm eggs, home fries, mustard greens, fennel, carrots, squash, carmelized onions, cheddar, scallions & pickled banana pepper relish. This one had a much brighter, lighter feel to it – while still being very filling. Carnivores will love “The Hot Mess,” (bottom) which is filled with 2 sunny side up local farm eggs, home fries, bacon, breakfast sausage, caramelized onions, cheddar, scallions & pickled banana pepper relish. I’m not a huge relish fan so I held off on the last ingredient, but the rest of this skillet is spectacular. It’s incredibly hearty without feeling greasy, and jam-packed with flavor! Oh, and this is how they heat their skillets. Stove tops are a thing of the past, people! A tip: They can have a long wait for brunch on the weekends, even if you go late (we got there around 2 PM and waited 30 minutes), and you can’t make same-shift reservations, so it would pay off to call a day or so ahead of time! Comment Challenge: Which ingredients would you love want in your brunch skillet?